Small Stacked Slate Urn - Aquascape, Inc. 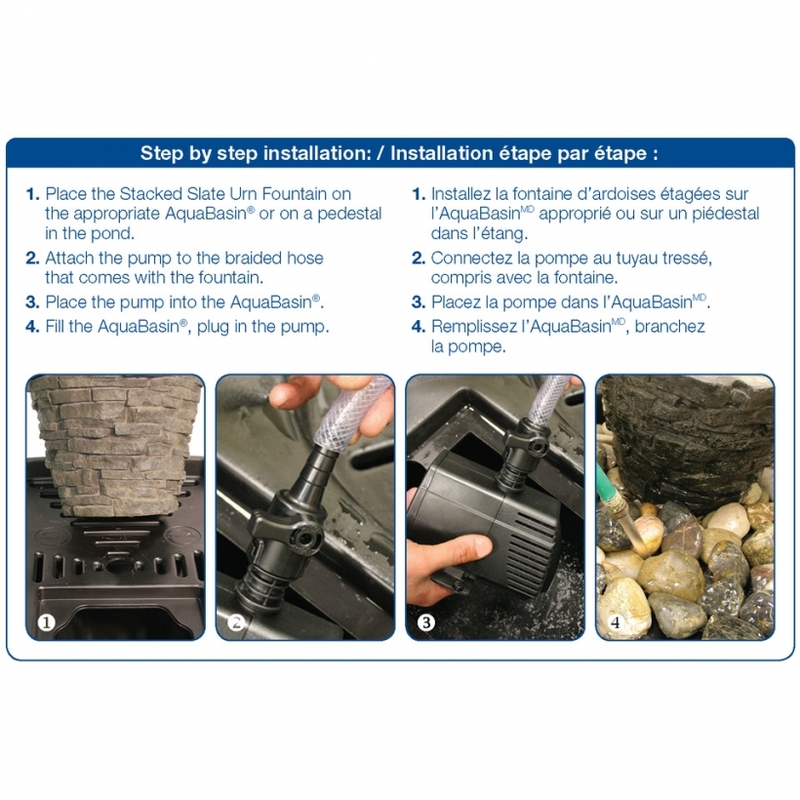 The Aquascape Small Stacked Slate Urn is ideal for adding an impressive, natural-looking, stacked slate fountain in any location. The lightweight, durable fiber-glass resin composite construction is built to last and provides the look and beauty of real rock. Water is pumped up through the center of the urn and gracefully cascades over the stacked slate texture, creating an impressive effect. The stunning finish will not fade or chip, ensuring year after year of enjoyment. Measuring 33.5 inches high and 21.25 inches in diameter, the Small Stacked Slate Urn is ideal for a wide variety of installations and locations. A section of tubing is also included for quick and easy installation. 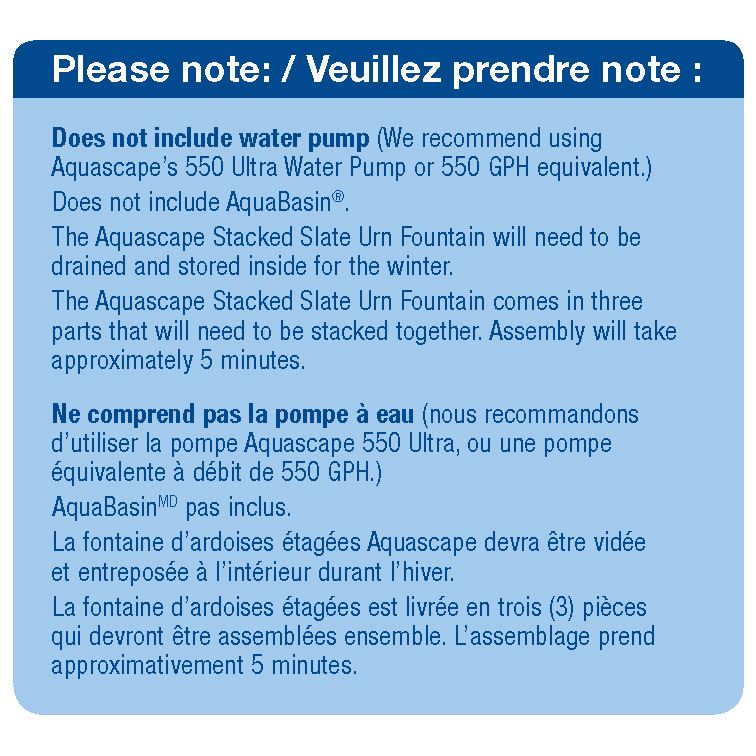 For standalone fountain installation, we recommend using the Aquascape AquaBasin® 30 or DecoBasin and Ultra 550 Water Pump or larger. The urn can also be added to existing ponds for an impressive decorative accent. The Small Stacked Slate Urn is also available in a complete kit (#58064). Add the element of fire to the urn with the Aquascape Fire Fountain Add-On Kit (sold separately). Aquascape is passionate about the products we produce, providing unique products, designs, and features that stand above the competition.